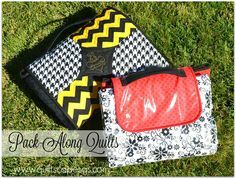 Choose Square or Round, with Handles or Not! 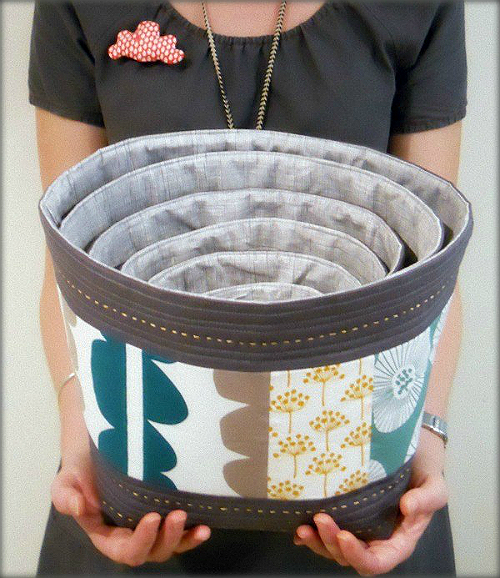 Fabric baskets and bowls are so handy around the house. 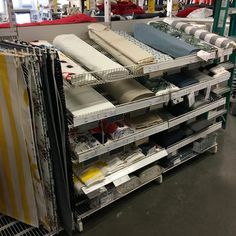 They’re attractive, can be made in colors to fit your decor and can be used to organize and store items in just about any room. They also come in many sizes and styles. However, this may be the ultimate pattern. 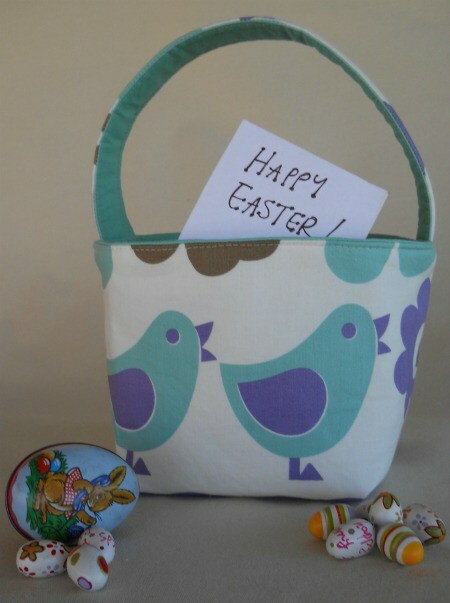 Instructions are provided for 6 nesting sizes, plus directions for making any size you want. 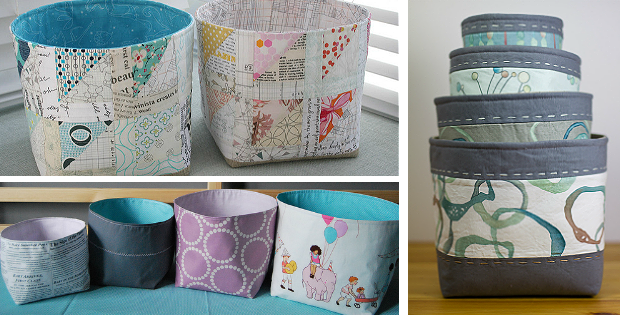 Your baskets can be either round or square. Plus, you can add a handle, or two, if you’re so inclined. You can even hang them. 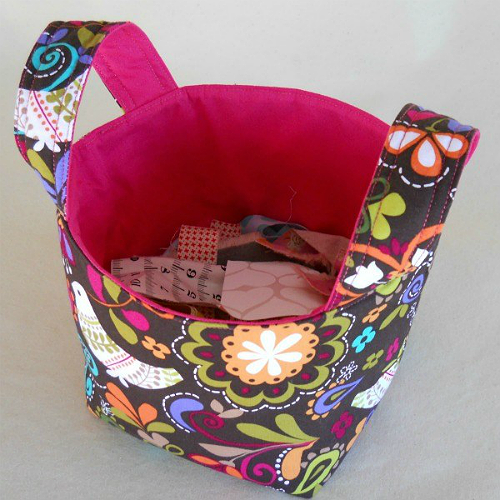 Add a feature panel, piecing, pockets, a bit of hand or machine quilting … and did we say you can make any size you want? 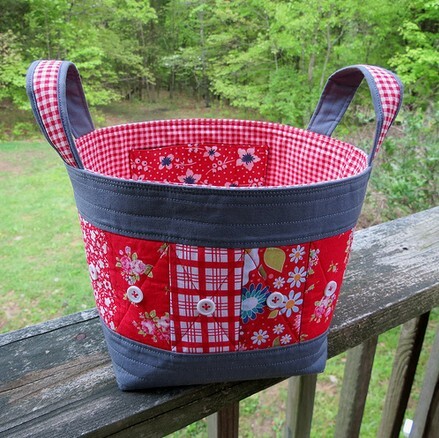 Fabric basket by Rita. 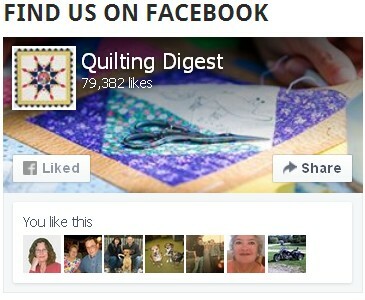 It’s 7″, has a pieced feature panel (with accent buttons), a pocket, two pieced handles and is machine quilted. 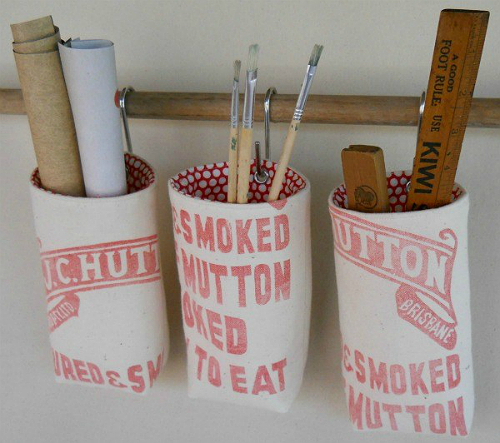 You’re sure to find many uses for this versatile pattern, around the home and for gifts. The pattern, from Nova Flitter, provides instructions for 4″, 5″, 6″, 7″, 8″ and 9″ fabric bowls, plus instructions to create any size. Click here to see many creative interpretations of this pattern. There are so many we love that we had a hard time picking a few to show you here. 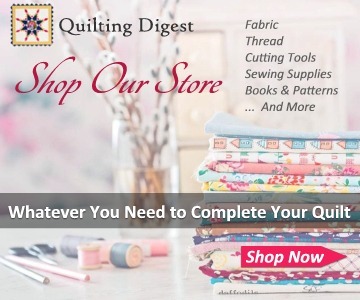 You’ll love the many pieced variations. 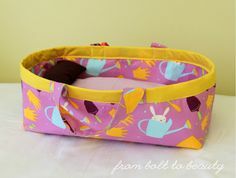 Click here to purchase the “Nesting Fabric Bowls” pattern. Image Source: The image at the top of the page contains photos from Rachel (top left), Snips Snippets (bottom left) and [Amy’s] Crafty Shenanigans (right).